By Contributing Author 7 Comments - The content of this website often contains affiliate links and I may be compensated if you buy through those links (at no cost to you!). Learn more about how we make money. Last edited November 16, 2012 . I know there is something about a mosquito, an albino, and “feeling stupid” but, to be honest, I have no idea what the lyrics in “Smells Like Teen Spirit” even mean. While I don't understand the meaning of the song, every time I hear it I think of one thing: my retirement. Immediately after marrying the girl of my dreams, I began looking to buy a home. Neither my wife nor I made a lot of money but we had decided that it would be cheaper for us to buy a home than to rent (and far better than living with family.) We began to look at our options and discovered a small duplex that was in our price range. This property consisted of two separate homes crammed onto one small lot. We bought the property, cleaned up both homes, moved into the small one-bedroom home in the back, and put a renter in the home in the front. Soon after our tenants complained of “flashes of light” coming through their front windows. I thought nothing of it. Several years went by and various tenants moved in and out. I heard the same story several times and assumed the flashes were the county or the city doing some kind of analysis. Finally one day the tenants got a knock at the door and opened it to several tall, blonde Swedish tourists. They wanted a tour of Kurt Cobain's house. I knew Kurt Cobain was originally from my city (Aberdeen, Wa) but little did I know – my duplex was actually his first home. I discovered later that Cobain had actually lived in both homes, moving from one house to the other during the first year of his life. 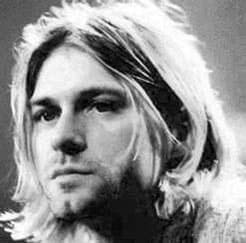 His parents moved again to a new location before Cobain was even two years old – but his brief residency at the two homes was enough to put my little duplex on the tourist route of those looking for a glimpse of Cobain's past. Despite the cool background story- the “Cobain connection” is not my favorite part about that duplex. “What could be better than a rock star living at your home?” you ask! …well, a lot of things. You get the point. It's not that great compared to a lot of things. However, what I'm talking about is the freedom that duplex provided. Life is expensive and your first few jobs probably don't pay a lot. Sure, there are a lot of great tips for saving money, but most tips don't make rent any cheaper or help you earn much more money. However, buying that duplex did both. The total cost of the duplex was $80,000.00. With a 3.5% down payment through the FHA loan program (well, it was 3% at the time) the total down payment was just under $3,000 and our monthly payment (including all expenses) was just $600.00 per month. The front home rented for $600.00 per month. My wife and I now lived in our own home for absolutely free. Granted, I needed to fix things when they broke and I had to learn the ins and outs of being a landlord – but we were living for free. A year later we moved again to a different home (purchased a larger home just one block away) but we still owned the duplex. We simply rented the back house out for $500 per month and now that duplex creates positive income each and every month. Sure, there are maintenance issues that come up every so often (which I usually hire out) and I'm not going to say I always love being a landlord – but starting out with a duplex was one of the best decisions I have ever made. I'm not one of those gurus who is going to tell you buying a house is the best thing for you to do. In reality – buying a home is not right for everyone. I've purchased a lot of properties over the past several years (including single-family homes, multifamily properties, and even an apartment complex) and I spend a lot of time teaching people how to invest in real estate and buy their first home – I recognize that this isn't the right path for all. I love real estate and especially in the financial leverage real estate has for investments – but others might hate the idea of investing in any type of real estate. Easy to Qualify For: Qualifying for a small multifamily property (duplex, triplex, and 4-plex) is exactly the same as trying to qualify for a single family home. You can often times get into a property like this for as little as 3.5% down payment using the FHA loan program. The FHA even has programs that will allow you include “rehab” money into the loan so you can fix it up nice. Additionally, some banks allow you to use the income you'll be receiving from rent to help you qualify for the loan. Less Risk: One of the most significant benefits of having multiple units is the decreased risk you have of losing your home if something bad happens to your income situation. This benefit increases if you buy a triplex or a four-plex, as the risk is more diversified. On the Job Training: If you are considering using real estate as part of your future investment strategy, a duplex that you live in can be a great way to learn how to effectively manage rental property. Being a landlord is not always fun, but 80% of the hassle can be eliminated by simply buying smart and managing effectively. Most “burned out” landlords I know became so by treating their rentals as a relaxed hobby rather than a business. By starting small, you will learn how to grow your investment portfolio in a smart, scalable way that won't make you hate your life as an investor. Jump Start for your Financial Future: Chances are you don't want to live in a duplex for very long. However, your first home is seldom the home you stay in. By purchasing a duplex with a long term, fixed rate mortgage (the only type of mortgage you should ever get) you are able to control that property for the rest of your life. Because the property is your personal home, you get to take advantage of the incredibly low interest rates for your primary residence – which translates to low monthly payments that stay the same while rent climbs higher year after year. Purchasing a duplex can be an excellent jump-start to your retirement planning, even if that event is years away. As I said before, owning property is not for everyone. However, making your first home a duplex (or other small multifamily property) can be extremely advantageous for you and your financial future. Not every duplex (or even most) are worth buying, but finding a good deal using math that makes sense is the key to success in real estate. I highly encourage you to take a look at some duplexes if you are itching to buy a home. It might be the difference between success and just wishing for a home. The “Cobain Duplex” is not my favorite investment property because of it's unique history – it's my favorite because of the financial helping hand this home gave me when starting out and continues to give me every month. Have you considered buying a duplex? I'd love to hear your thoughts (positive or negative) on making a duplex your first property or any other real estate questions or comments you might have. Please leave me a comment below and let's talk about it! Brandon Turner is an active Real Estate Investor, Entrepreneur, World Traveler, Guitar Player, and Husband. He is located in Grays Harbor, Washington and enjoys finding killer Real Estate deals, leading worship at his local Calvary Chapel, bonfires on the beach, backpacking Europe, and speaking in third person. If you’d like to get a free copy of “7 Years to 7 Figure Wealth,” Brandon’s first eBook and personal manifesto regarding the quickest and most stable way to financial freedom through real estate, please visit his website at www.RealEstateInYourTwenties.com. I love it! Question though. Did Peter write this article or did Brandon Turner? Yes I agree that there are lots of things cooler than Kurt Cobain having lived in your home, but I must say, that’s still pretty sweet! Congrats for getting started on the right foot with your real estate investing. The duplex way is definitely smart. Living free while building equity is totally sweet. I’ve lived in a duplex for over 12 years and much of that time rented out half of it. Overall it was a good experience and a good move financially. It also gives you many tax advantages you wouldn’t have otherwise. Of course you have to remember it is much like running a business and your tenant (customer) will have the same high expectations from you that you had when you rented a place. Hey Mike -that’s great advice. I think that’s why so many landlords get burned out- they run it like a hobby instead of a business. One of the best tips I have for that is never letting the tenant know I’m the owner. I’m simply an employee of the property management company. (They don’t need to know that I happen to own that company.) This makes it less personal and easier to run as a business. Thanks for the comment Mike! Very nice story illustrating the “living free” magic of owner occupied multifamily rentals. With such low overhead you were half way to your retirement goals. In fact, my family uses the two bedroom unit in our 8-plex as our emergency plan. If everything feel apart for us, and we had to move out of our house, we could live without 9 to 5 jobs in this unit. Hey Al – that’s an excellent idea for the “emergency plan.” I like it! Thanks for reading and commenting. Great blog, by the way! Previous Post: Is It Really Possible To Become A Millionaire?